The final scoreline somewhat Seaford as they emerged from scruffy match to secure their first win in three against CYM Terenure. The visitors began the game brilliantly, with a series of blistering attacks down Terenure's vulnerable left flank. Within the opening sixty seconds, Paul Lydon and Mark Cullen punished fullback Tiernan Reilly's error, enabling Mark Sullivan to square the ball, but the CYM defence managed to clear the ball from beneath their own crossbar with Collie Dolan lurking. And within four mainutes, Seaford had made it 1-0. Reilly handled Cullen's cross, and Lydon lashed home the resulting penalty. Seaford continued to stream forward, almost making it two with a stunning one-touch move down the left side starting with keeper Eoin English, and ending when Dolan shot over the bar with his left foot. But Seaford wilted badly during the balacne of the half. There was no question about the main source of Terenure's threat: the extraordinary long throws of striker Andrew Curtis. Almost every CYM opporunity resulted from Curtis hurling the ball at speed towards the goalmouth, as English and his defence struggled to cope with the onslaught. From one Curtis missile, the keeper and Jim Nolanreacted well to deny Evan Power an eqialiser as the ball broke loose. But momemnts later, it was 1-1 as Curtis wound up the slingshot again and English's punch fell to Victor Odria, who lifted it back over the keeper and into the net. The airborne assault continued and in truth Seaford were lucky not to be behind when Sullivan gave them the lead late in the half, racing on to Piers Shelton's slide-rule pass and slotting past Ruairi Gallagher. The second period began the same as the first one, with Seaford going very close twice in the opening moments. Two brilliant Gallagher saves denied first Dolan and then Sullivan. Seaford braced themselves for more torpedoes from Curtis, with skipper Paddy Costello, in particular, superbly effective at repelling the bombardment, and the home side struggled to make chances in open play. The closest they came was from a break down their left which led to Adam Buckley chipping over English only for Nolan to head off the goalline. The introduction of Harry Crowe off the bench for his first appearance of the season with ten minutes to play helped Seaford kill the game off, as the youngster's pace and guile on the left wing opened CYM up on the counter-attack and he helped himself to a quickfire brace. First, centre half Caoimhin Fahy burst upfield having won the ball on the edge of his own box. Fahy slipped Crowe in on goal, and he produced a stunning left-footed finish. In injury time, Crowe got his second after he and Sullivan both beat the offisde trap, and although Gallagher denied Crowe's first effort, he managed to squeeze it home at the second attempt. 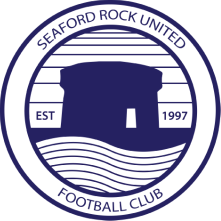 Not a vintage performance by Seaford by any means, but a scrappy win which help them keep pace at the top of a very competitive Major 1C division.